Home » News » HQ Hairdressing gets a glowing review from Clifton Life! HQ Hairdressing gets a glowing review from Clifton Life! HQ Hairdressing got a stellar write up from Clifton Life magazine after being featured in their Health and Beauty section of their latest issue. We were visited by Deri Robins. I write this review in the evangelical spirit of the convert. If I’m totally honest, until I swung into the huge car park of the David Lloyd Health Club in Westbury-on-Trym, I’d been quietly asking myself why anyone should bother schlepping out to the northern suburbs for a cut and colour when they could get a perfectly good one in Baldwin Street/Whiteladies Road/Clifton Village* (*delete as appropriate). However, when it dawned on me that I could park for free, for an unlimited period of time, right in front of the entrance – or – even better! – I could hand my car keys over to the nice young men who’ll wash your motor for a fiver, I decided that the advantages massively outweighed the small inconvenience of a 10-minute drive from the centre You could even do a bit of shopping on Coldharbour Road on the way back if you were in the mood. Having parked up, I then had to get over another small, illogical prejudice: ie, would visiting a salon within a gym be as restful as a high-street salon? Again, it didn’t take long to knock that particular reservation on the head. At ground-floor level it maybe all lycra and tracksuits and determined sporty bustle, but the staircase that leads up to the first floor takes you away from all this; indeed, the contrast makes it seem even more of a sanctuary. amount of pride that she’s one of his most talented protégées. The move to David Lloyd was a smart one. Not only is there a readymade customer base, in the form of all the health-and-beauty-conscious gym members, but the ease of visiting HQ has been a big plus for Russell and Cheryl’s loyal Bristol clientèle – finding the perfect hairdresser is akin to stumbling across the holy grail; if they move, you move. Russell’s originally a Londoner, but he’s been in Bristol salons long enough to have seen many of his clients grow if not old, then older. Hair changes, he tells me, as we discuss what’s to be done about my roots and colour. Hair gets older, more brittle; you can’t just stick any old dye on. We decide to abandon all ideas of highlights, which would require bleaching, and decide, at least for now, to continue presenting the world with the illusion that I am still a brunette. Ella suggests a bit of red at the tips – not in a Jessie J dip-dye kind of a way, I’m about 20 years too old for that – but to add a bit of subtle interest and depth. I don’t normally trust anyone younger than my children as rule, but I acquiesce demurely. 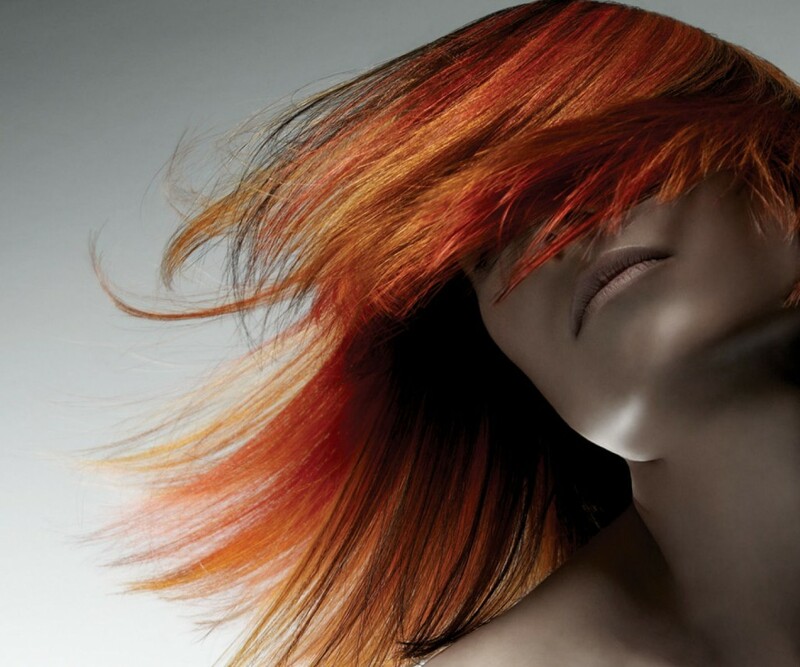 Products, by the way, are by Joico – no, I’d ever heard of them either, but I can now attest to the excellence of their colouring properties and the soft feel they give to the hair. An hour and three magazines later, I am fully briefed on the weight loss/gain/marital traumas of the C-list, my hair is a rich, very dark brown, and I am ready for my cut with Russell. We’re not going for anything revolutionary. Russell seems to know instinctively that I’m just after a nice bit of layering; in any case, he always treads cautiously with new clients, “until I get to know their hair”. He dries it straight, which looks just perfect, but we also decide, for fun, to see what it would look like with ribbon curls. It appears to be a pleasingly simple technique, easily achievable at home. I’m impressed with the result, and so is the lady in the next chair. “That was worth putting my glasses on for,” she says approvingly. ‘Tis the mixed blessing of the reviewer that I am fated to trawl the city’s salons, like some tricological Ancient Mariner, never having time to settle on just the one; if it were otherwise I’d return to Russell and co like a shot. But as I say, some things are not to be. Here’s another one. Ineptly wielding my GHDs at home, I realise that I am destined never to achieve lovely, bouncy ribbon curls by myself. And Russell made it look SO damned easy . . .
You can read the write up in the latest issue of Clifton Life and, to arrange an appointment, contact us.